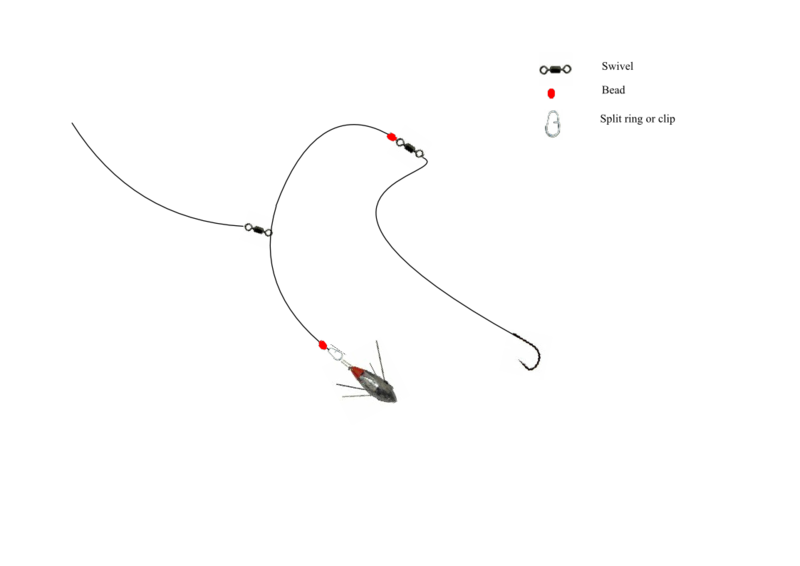 A method of fishing a bait near the surface under a float while still fishing a main bait on the bottom. 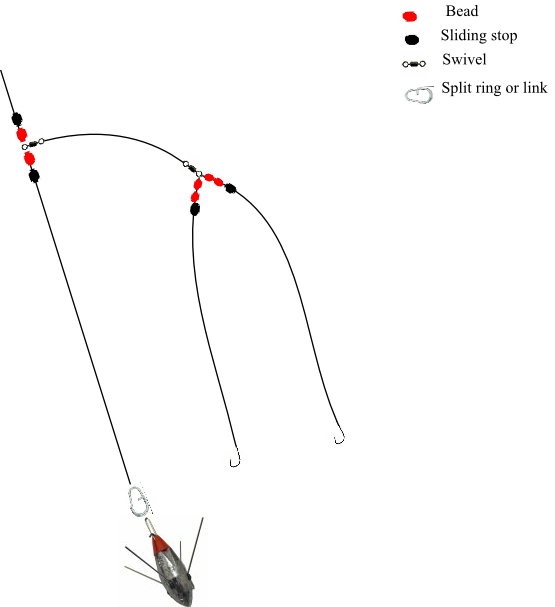 Cast your normal bottom fished rig and then once settled, add the float rig by clipping the snap swivel over your main line and letting it slide down into the water. 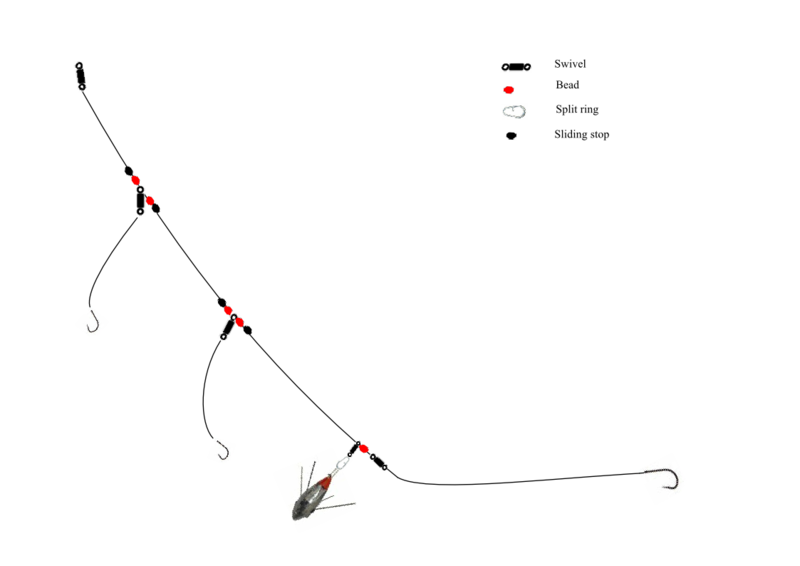 This is also known as a clipped ledger and is a method of constructing a running ledger with a long hook length to make it streamlined and easier to cast. For ease of use and adjustability, I use these Mustad clips – just remember to slide the silicone tube onto the main line or leader before constructing the rest of the rig. 1. Slide silicon tube onto line or leader and insert clip. 2. Slide snap swivel, link or weight onto line or leader. 3. Slide on a bead and tie off to a swivel. 4. Tie or clip hook length to swivel followed by hook. 5. To use: Loop hook length over the clip before clipping hook onto lower bait clip, impact lead or bait shield. 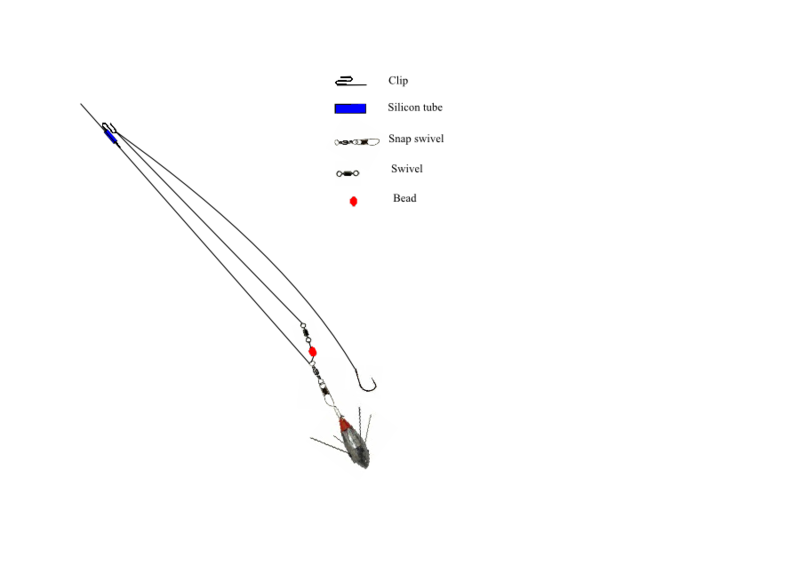 A method of fishing to baits close together on the bottom. There are various ways of it being tied and is much down to personal preference and whether you want it fixed, sliding on a paternoster or running ledger. 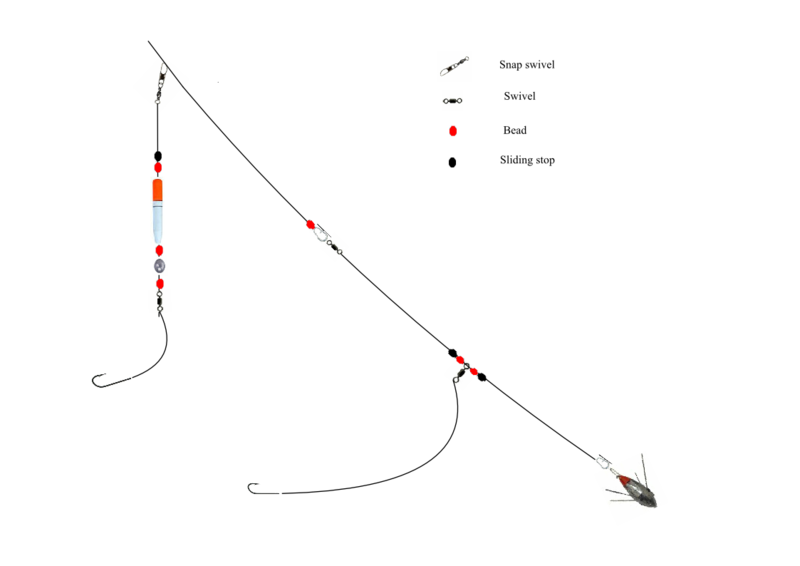 The diagram shows the construction of a paternoster variation of the rig. The beads can be adjusted or can be fixed. The hooks can be plain or ‘blinged’ with sequins and/or beads to act as an attractor for flatties. 1. If using on a paternoster, tie a swivel onto the end of your dropper, if using a ledger, tie a swivel to end of the initial hook length. 2. Take a length of line to used as the new hook length and thread it through the end swivel. 3. Thread two or three beads onto the new hook length on either side of the swivel. 4. Use a sliding stop or stop knot after the beads. 5. Tie hook onto either end of the new hook length.